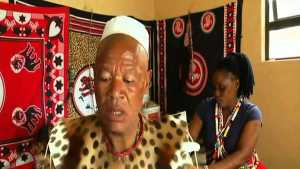 Traditional healers in South Africa have called for the criminalisation of the use of the word “witchdoctor”. They say people should rather use the phrase “traditional healer”. This is one of the recommendations adopted at the end of the 4th National Consultative Conference of the CRL Rights Commission in Pretoria. Chairperson of the Commission Thoko Mkhwanazi Xaluva says traditional leaders have voluntarily asked to have their own peer review mechanism to regulate the sector. The post Traditional healers call for the criminalisation of the term “witchdoctor” appeared first on SABC News – Breaking news, special reports, world, business, sport coverage of all South African current events. Africa's news leader..